We represent the Shakopee business community through advocacy, membership programming, and economic development. The Shakopee Chamber of Commerce has been the voice of the business community since its founding in 1955. A strong, dynamic business community benefits everyone in Shakopee and the surrounding areas. 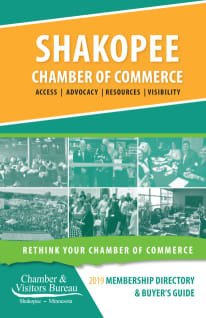 The Shakopee Chamber connects local businesses, service organizations and all levels of government to create an environment where people want to live, work and play. The Chamber is a voluntary, not-for-profit business organization dedicated to improving the economic environment of the community. As an active, problem solving organization, the Shakopee Chamber of Commerce focuses on economic development, workforce development, legislative advocacy and membership services. The strength of the Chamber lies in its membership, small businesses, large corporations, home-based businesses, and professional men and women, working together to enhance the quality of life in Shakopee. Through a wide variety of programs and initiatives, the Shakopee Chamber works to positively impact the quality of life in the region, while supporting the growth and prosperity of our members. From education to economic development, the Shakopee Chamber of Commerce is committed to giving each member an opportunity to prosper in today’s competitive business world. The financial investment made by members like you, in the form of dues, sponsorships and participation in events, such as the Monthly Business Builder Meetings, Quarterly Educational events and annual golf tournament, allows the Shakopee Chamber to make a significant impact on critical business and community issues. The maintenance of an adequate level of support from all business and professional interests in the community is essential to finance the programs that are vital to community growth and development. 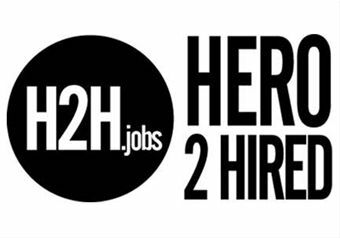 By leveraging the talents and resources of our members we can improve the economic opportunities for everyone in Scott County. Members are the strength of the organization, both as stockholders and the principal customers we serve. Our Board of Directors, committed volunteers selected from Chamber members, establishes our policies, sets the budget and implements our program of work. The Board of Directors elects an Executive Committee of five officers to transact business between meetings of the Board. The Board employs a President, who hires a staff of professionals to conduct daily business and operate the Chamber office, and to assist the volunteers in the accomplishment of our goals. The Chamber’s professional staff and dedicated volunteers work diligently to connect your business with opportunities to succeed. The Chamber works closely with the City of Shakopee and neighboring communities, Scott County, and local service organizations to promote the economic health of our community. The Shakopee Chamber is the primary source for businesses and individuals seeking information on the business climate in our community. The Shakopee Chamber of Commerce is more than just a decal to put on your front door. Membership puts the information you need at your fingertips. It gives you somewhere to turn when you need advice or assistance. Membership also boosts your image in the community. According to a recent survey*, respondents were 44% more likely to rate a business favorably and 63% more likely to want to purchase goods or services from that business if they know it is a chamber member. The bottom line……………Chamber membership ensures that the opportunities you seek are within your grasp. Start taking advantage of Chamber benefits today. Click here to complete an online application for Chamber membership.